DasGro and Hairfinity are two popular supplements that are aimed to support healthy hair growth and stop hair thinning. You see, treating a hair loss case can be very tricky and difficult because there are various factors that may induce the problem. You can try taking a good hair supplement such as these if your hair loss case is caused by poor nutrition or stress. 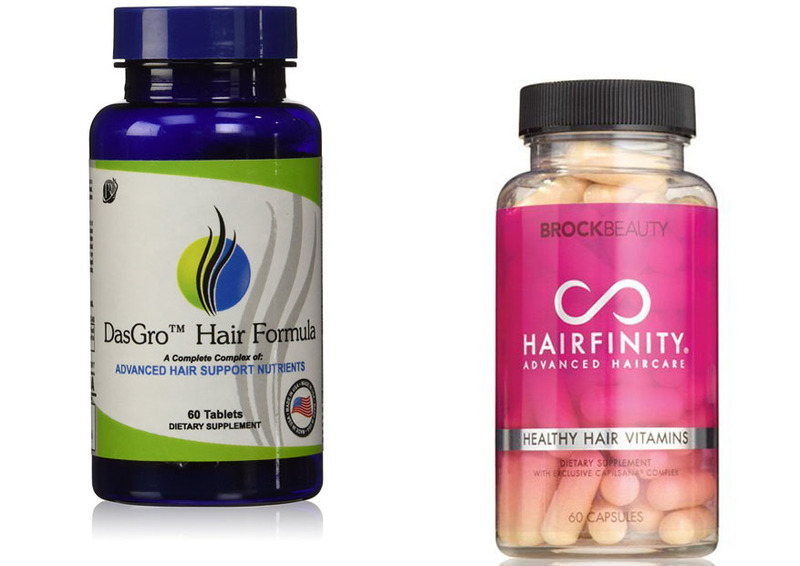 Below, we will see the comparisons between DasGro vs Hairfinity to help you choose the best supplement for your need. Before we proceed, it is wise to understand first the primary ingredient used by these hair supplements, which is biotin. So, what is biotin, exactly? Biotin is also known as vitamin B7, and is a water-soluble substance that plays an important role in gluconeogenesis as well as in the synthesis of fatty acids, valine, and isoleucine. Biotin is also important for the health of hair, skin, and nails. Biotin deficiency may be caused by either an inherited genetic disorder which affects the biotin metabolism or inadequate dietary intake. Biotin deficiency may cause hair thinning, skin rash, and weak nails. So, if you are experiencing hair loss, it is important to pay attention to your biotin intake. Biotin does not have any dangerous side effect. The human body is able to tolerate great doses of biotin. Still, do not take it too excessively, as an extremely high level of biotin may cause inflammation and collagen deposition. Read also : Biotin Vs Hairfinity. Now, to determine the value and quality of DasGro vs Hairfinity, let us compare the nutritional values offered by these two supplements. If we observe their labels, we can see that DasGro generally provides higher levels of nutrients than Hairfinity. DasGro is packed with lots of vitamins and nutrients. It comes with 10,000 IU vitamin A, 12 IU vitamin E, 250 mg vitamin C, 400 mcg of folic acid, 250 mg of pantothenic acid, and more importantly 4,000 mcg biotin. It also contains MSM, choline bitartrate, as well as various extracts such as ginkgo biloba, grape seed, green tea, and saw palmetto. These natural ingredients are all very useful for the overall health of the body and of course the hair. They ensure that your scalp and hair follicles can get good nutrients to function properly. On the other hand, Hairfinity is also packed with various vitamins and healthy ingredients, but at slightly lower amounts. For example, it comes with 8150 IU vitamin A, 100 mg vitamin C, 200 mcg folic acid, 100 mg pantothenic acid, and 2,500 mcg biotin. The Capilsana Blend contains MSM, hydrolyzed collagen, and horsetail whole herb. As you can see, compared to DasGro, Hairfinity has a considerably lower level of biotin. The other ingredients also come at lower degrees. So, you can say that it is not as potent. Between these two hair supplements, we recommend you to choose the DasGro hair supplement. It is a more potent supplement, with greater nutritional values. It has a better chance to improve the health of your hair.